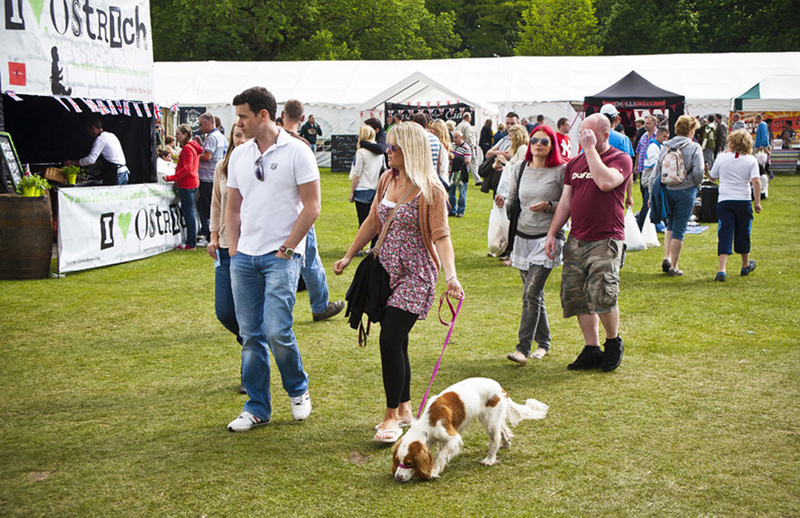 The festival is even bigger and better this year, with more food and drink stalls, along side a new gift and craft marquee. 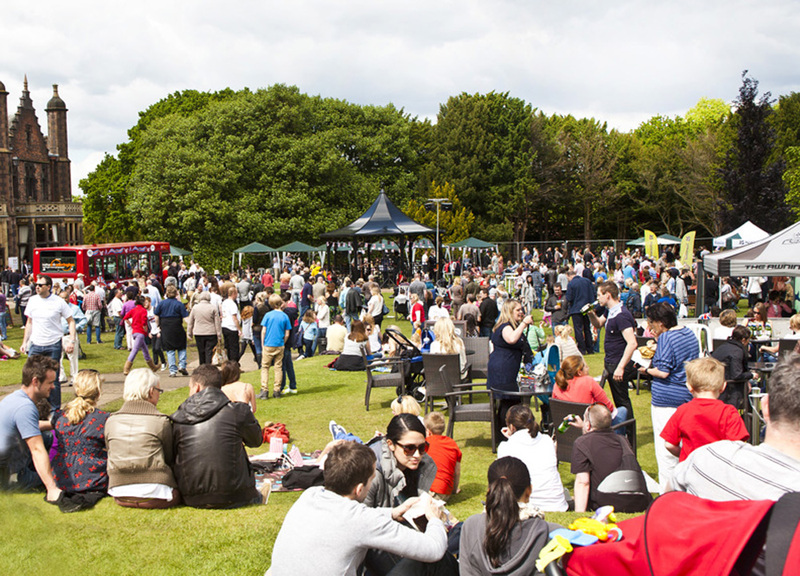 Crowd favourites the Chef Demo tent and Men V Food Challenge stage will also be back. The recipe for the weekend, take over eighty top artisan producers, a big serving of stunning hot food, real ale and wine bars, add a dash of craft and gift stalls, lots of activities for the kids, top chef demos from Great British Bake Off bakers, stir in a cake competition and the popular Men Vs Food, with lashings of excellent live music and mix together to make a lovely foodie family day out. The main chef demo area hosts great local and tv chefs, all demos are free to enter so everyone can pick up top foodie tips. There are also regular Artisan Foodie talks and the popular Great British Cake off and Men Vs Food for you to get involved with! The Great British Food Festival has attracted lots of producers showcasing the best in local, seasonal and speciality food and drink. It's a great opportunity to get a real taste of the best of Cheshire and Great British produce - sample, enjoy and buy. With Great Britain's amazing mix of cultures and cuisines we thought it would be a shame to overlook some more exotic elements - so you can try Thai, Mexican, Asian as well as pulled pork, prime steak, and the best local burgers and sausages, for those with more traditional tastes! 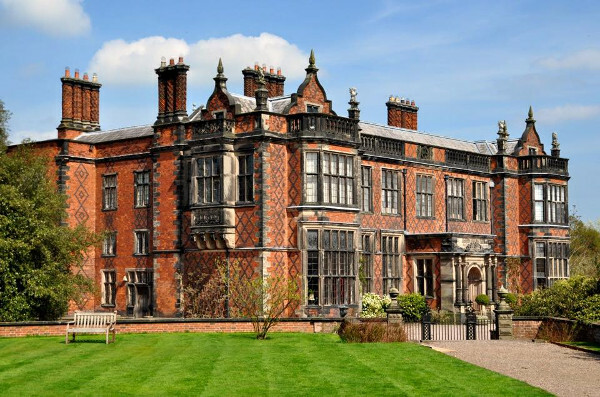 After you've done your foodie shopping, sit out enjoying tasty hot food, a refreshing drink (or two), with great live music in the stunning surroundings of Arley Hall. The recipe for the weekend, we'll take over 80 top local producers, a big serving of stunning hot food, real ale and wine bars, add a dash of craft and gift stalls, lots of activities for the kids, top chef demos from the likes of Great British Bake Off finalist Luis Troyano and Master Chefs Luke Owen, stir in a cake competition and the popular Men V's Food, with lashings of excellent live music and mix together to make a lovely foodie family day out. The main chef demo area hosts great local and tv chefs, all demos are free (as part of your admission ticket) to enter so everyone can pick up top foodie tips. There are also regular Artisan Foodie talks and the popular Great British Cake off and Men V's Food for you to get involved with! 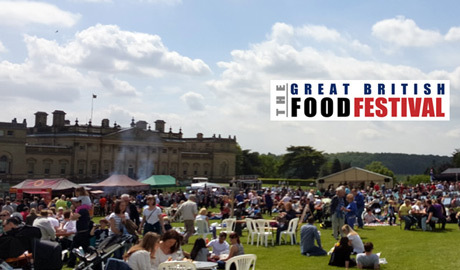 The Great British Food Festival has attracted lots of producers showcasing the best in local, seasonal and speciality food and drink. It's a great opportunity to get a real taste of the best of Lancashire and Great British produce - sample, enjoy and buy. With Great Britain's amazing mix of cultures and cuisines we thought it would be a shame to overlook some more exotic elements - so you can try Thai, Mexican, Asian as well as pulled pork, prime steak, and the best local burgers and sausages, for those with more traditional tastes! After you've done your foodie shopping, sit out enjoying tasty hot food, a refreshing drink (or two), with great live music in the stunning surroundings.